[PR]essure Points: The Press Kit – Why Don’t YOU Have One? Home » And where the f*ck was your publicist? » [PR]essure Points: The Press Kit – Why Don’t YOU Have One? *Names changed to protect fragile egos. I received an email today from an associate. Troy is a pretty decent up-and-coming rapper from Florida. He’s an independent artist, working feverishly to prove to prospective and current fans alike that he has everything required to be one of the best in music. Troy’s hunger and thirst for success in this industry is parallel to many but on this particular day he stuck out. In the email, he asked if I would take the time to provide my professional opinion on the contents of his press kit. Sure I would. More excited that an artist had a press kit rather than just a FaceBook URL, I was elated to see what Troy had done thus far. What I saw next could not be made up. My music sounds like nothing you’ve heard before. It blends old school with the new school leaving you wanting more. I write all my material and give people a real account of what it’s like to be hungry, motivated and serious about your talent. And that was it. There was no bio. No press release. No discography. No track listing. No past/future show dates. No clippings from press received. No music. No videos. No pictures. No website. No reason for me to respond without educating him first. He had no clue. For the sake of saying it, he did have concise information about his music, he knew his name and where he was from but left out even the main things that you would have to put on your BMI/ASCAP registration form. Then it dawned on me that Troy was totally unaware of what a press kit was or how it could function and aide in propelling his career. Most artists are blind as to how intricate a position public and media relations plays in their careers. PR is the ability to have the public on your puppet strings. The PR specialist is the puppet master. You want a successful show and career and to be favored highly in the publics eye? It’s up to your PR specialist to make that happen without pause (and a good one will – hence the Breezy vs. Rhianna fiasco). With that being said, let’s just address the elephant in the room. Q: What the hell is a press kit? A: A press kit is a collection of documents used to promote a person, place or thing to media outlets. 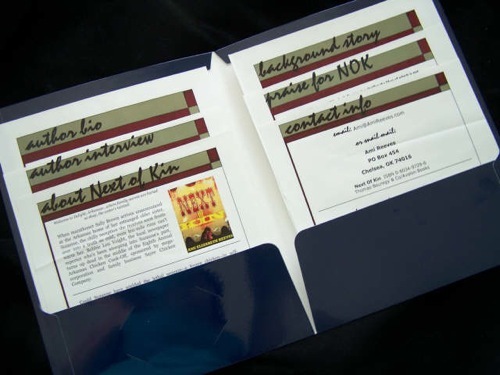 Normally in a package or presentation-ready format (such as a folder with double pockets, portfolio, etc…), these documents are distributed to media in hopes to garner publicity, impressions and attention towards your product. There is also such thing as an electronic press kit. It would be the viral version of your press kit. Normally, it can be created through a PDF file but can be in the form of a newsletter, email blast or a video presentation. Q: What should be in my press kit? The media kit serves as the “first impression” to a magazine that has never heard your music or a blog that has never ready your biography. This tool is vital to the longevity and success of your project. Professionalism speaks volumes and labels, media, promoters and executives love nothing more than an artist who has all their material organized. Image is everything.. PUSH Publicity Inc. provides the most affordable options in press kit packaging and individual components such as press releases, biographies and fact sheets. Physical and electronic press kit packages currently start at $100 – a great investment towards your future. If you don’t already have a press kit, wait no longer on getting one. It could be the difference between taking it and simply making it. PUSH Publicity Inc. specializes in media relations and publicity for burgeoning talent and businesses. Please email them at info.pushpub@gmail.com or call (404) 884-8414 to discuss your press kit construction today! SheGotPress.com is a virtual news hub that specializes in providing content from an empowering, feminine perspective, layered with professional wit and bold views. This weekly online publication covers varying topics surrounding entertainment business, community awareness, on-going cultural issues and social changes of worldly movements.